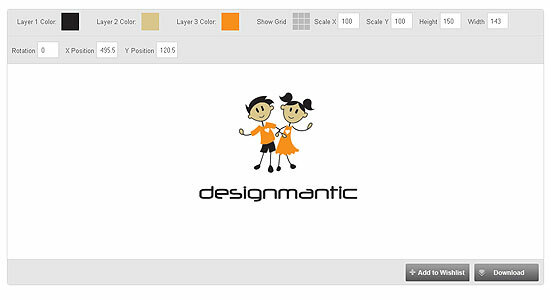 Creating a logo on DesignMantic is a piece of cake. Believe it or not, I tried making a logo of my name and it hardly took me 5 minutes to reach the final stage where I was given the choice to download the chosen logo. Is it not great? Well, it certainly has to be. 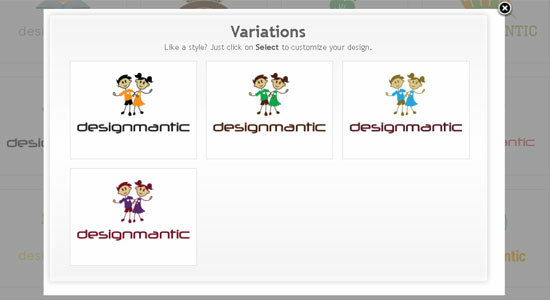 People; if you are in search for some cool and trendy logos then DesignMantic is the website for it. I bet you will all find a logo of your choice. For your ease, I have listed and explained the procedure of selecting a logo and finalizing it in just 5 minutes! Related: Why Choose a Logo Maker over Custom Logo Designers? As you know that all websites that offer any kind of service want to obtain information about their potential customers, so they place requirement for getting registered. Registration ensures that customers are genuine. Furthermore, registration opens up for them an opportunity to avail the services offered by the website. The company holds responsibility for data security and do not share with anyone. Besides, how would a company’s website be able to contact you if it does not know your identity? 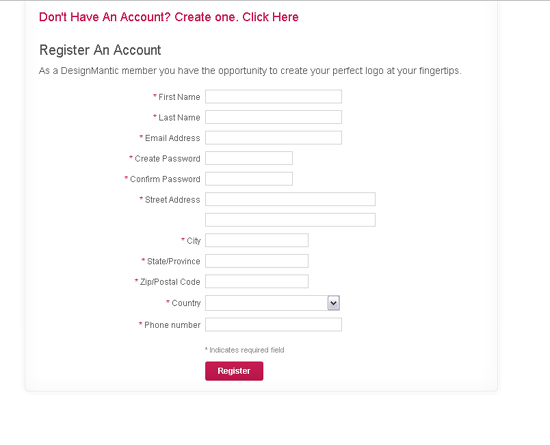 For these reasons, DesignMantic too offers registration option. On the top right, there is an option for Sign Up. Go and click there. It will open a form for you. Fill that form and register yourself. An email by the website will be sent to varify your email address. Once registered, you will be directed to the home page of the website. There is a place where it is written, “Enter Company Name”. Go there and write the name for which you need the logo. Click Show my Designs for Free. A new page will open when you will click on the proceed button. This page has all the logos that are available in the website’s database. You have the option to choose from this wide variety of collection available. The name you wrote for your logo is placed in every design with different fonts and colors. You will also see different industries on the top. For e.g., if you are from an education sector, then choose Childcare & Education from the choices available. 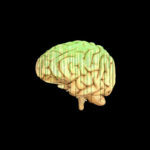 The logo designs that will appear will only be related to your niche. The best part is that hottest logo design trends are built in with DesignMantic Logo Maker already, so you can rest assured that your logo design will meet the challenges of time. Once you select a design, a new window will pop up. This is a Variations page. Here different variations of colors are given, i.e. the colors that go best with each other. Choose the one that suits you. After this, you will be directed to a different page. Here you will have the choice to apply different colors to your logo design. Also, you can alter the width and height of your design. These will merely take a minute. Select Additional Services like Business Card, etc. 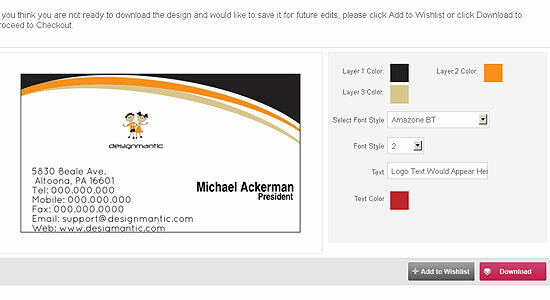 DesignMantic also offers its potential customers the choice to make their own business cards. When you are done with your logo design, a new page with different business cards will appear. 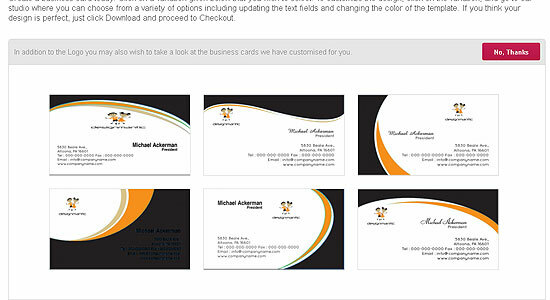 Here, on every business card design, your logo will be placed too. If you are interested in any, then proceed with the order. When you have finalized your design, color, size and text; it is the time for downloading it. A download button will be available once you complete the previous processes. Click on it for further instructions. Now this is the best part. Before downloading, you will have two choices to choose from. The design can be purchased or availed for free. Now you will be thinking why pay when free of cost option is available? Here is the answer. 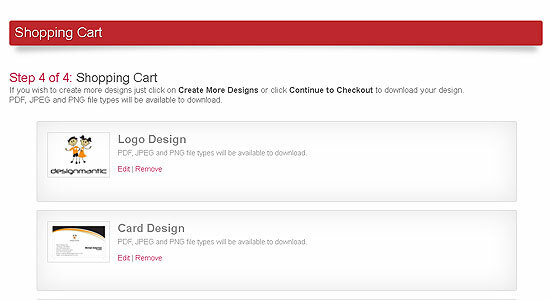 The logo can be downloaded for free but only if you write something for DesignMantic. You will have to provide the links and then download your logo design. The other option is to make an online payment. Interesting? The perks of using an online logo maker for your brand’s prospects are phenomenal. The online logo maker is the most cost-effective and instant means for getting your brand design made. It doesn’t rely on to-and-fro that comes with hiring a logo designer nor does it take much of your time. Plus you call the shots here with the logo creation tool. The best part, you need no technical or design knowledge to make your logo. So lets not waste any time, and bet your design made in 5 minutes today for your business brand. It was a real pleasure to locate your website after scanning and trying numerous others. I believe the saying is true, “you’ve tried the rest, now use the BEST”. It was so refreshing to find a Logo site with some really innovative logos and with so many options from logo creation to colour selection. In addition and including the option to choose and create a business card using the same innovative logo design of your choice. 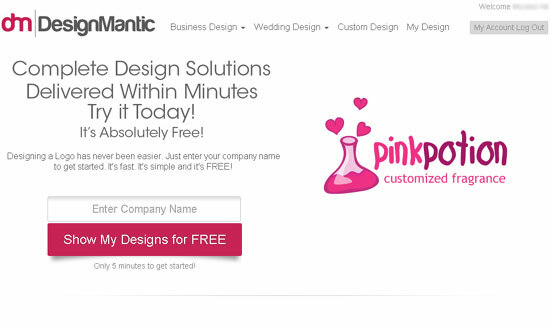 DesignMantic is truly a winner and an inspiration to other sites offering Logo design. DesignMantic have my vote as I said for ease of use, innovative designs, flexibility and creativeness. I for one certainly look to promote the use of DesignMantic to any of my family, colleagues and business associates. Congratulations DesignMantic on a fantastic website.